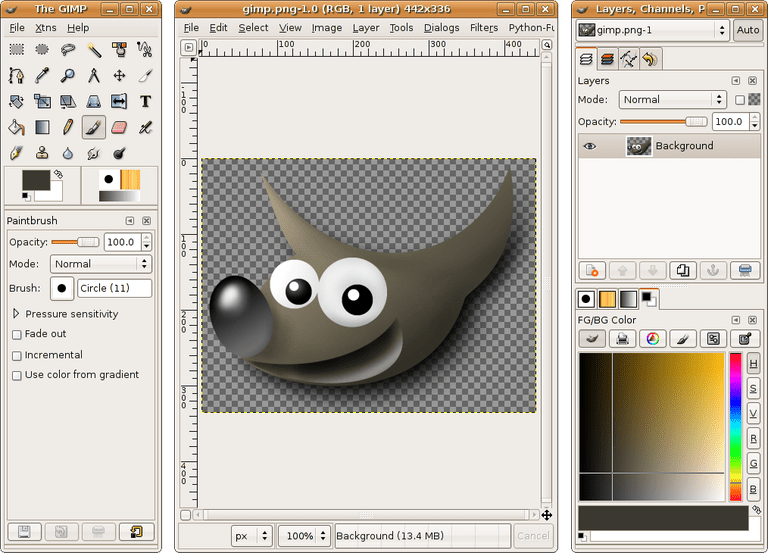 GIMP's Layers palette is a very powerful feature, but the Link Layers option has been almost hidden. Features such as the blending modes and opacity slider, are quite obvious and invite experimentation. However, because the Link Layers buttons are all but invisible until you actually click them, it is very easy to overlook this useful feature. 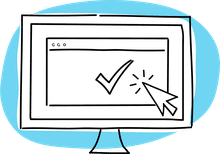 What Does Link Layers Do? This feature quite simply links two or more layers together so that you can apply transformations equally to each layer without having to merge them first. This obviously gives you the flexibility of later making transformations independently, which you could not do had you merged the layers. While Link Layers allows you to move, resize, rotate and flip layers in unison, it does only apply to these types of transformations. For example, you can't apply a filter to several linked layers simultaneously. You will either have to apply the filter to each layer independently or merge the layers together first. Also, if you move a linked layer's position within the Layers palette, any linked layers will remain in their position within the layer stack, so these will have to be moved up or down independently. It is very easy to link layers, once you know how, but because the buttons are unmarked initially, you could easily overlook them. If you mouse over a layer in the Layers palette, you should see a blank square button shape become visible to the right of the eye icon. If you click on this button, a chain icon will become visible. To link two or more layers, you need to click the link button on each layer that you wish to link so that the chain icon is visible. You can unlink layers again by simply clicking on the chain icon button once more. Using the option to link layers will give you the flexibility to apply transformations quickly and easily to multiple layers, without losing the option to apply changes to individual layers later on.